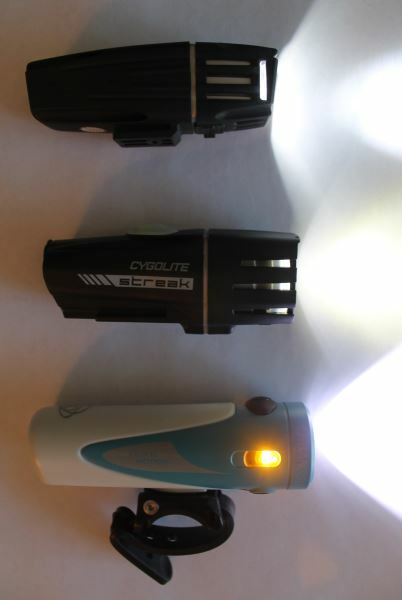 Review by Nathan Hinkle, Sept. 7, 2014, 10 p.m.
Serfas already makes some of my favorite lights, but there was a large gap between their bright and bulky mountain biking lights and their small Thunderbolt be-seen lights. The 2015 (U)SL line changes all that, offering compact, low-weight lights with a good balance of visibility to see with and be seen by. The USL-305 weighs nearly half as much as Serfas' TSL-750, and puts out over 3x as much light as the Serfas Thunderbolt. In my experience, optics have never been a selling point for Serfas lights. I've often criticized their TSL series lights for having far too narrow of a beam and a complete lack of side visibility. The beam profile of the USL-305 is a marked change from the TSL series, with a beam that isn't quite wide enough to illuminate an entire street, but more than adequate to see what's coming up in your lane or on the bike path. I often wished the light had a wider beam when I was rounding sharp corners, but otherwise it struck a good balance between flood and throw. The best optics-related feature is the side visibility cutout. Though less pronounced than the amber side ports on Light and Motion's Urban series (which are visible from nearly any angle), the side cutouts are easy to see up to 90° from the light. With rapidly increasing lumen values often touted as a selling point for lights, a light with 305 lumens may not sound so impressive. Don't be fooled by the marketing though: this is plenty of light for riding around town, whether that's commuting to work or biking home from a date. I even took it on an unlit gravel path late at night and while a higher output would've been welcome, it was by no means necessary. The flashing mode is bright enough for decent daytime visibility, but the flash speed is very slow. The advantage is that it's unlikely to disorient drivers or other cyclists; the disadvantage is that it's much less eye-catching compared to a faster flash. I recently built a system to test light runtimes in accordance with the ANSI FL1 Flashlight Performance Standard. This is a recognized standard for measuring and reporting light characteristics like beam distance, lumens, battery life, and weather resistance. The test setup uses a dark box with light-absorbing walls. A calibrated datalogging light meter is placed on one end and the light being tested on the other, and the light's output is measured over time. The battery life is the time it takes for the light to reach 10% of its measured output at 30s. Per the FL1 standard, the battery life of the USL-305 is 1:55 hours, a full 25 minutes longer than advertised. The light's output is well regulated for the first hour, and then decreases rather rapidly. Although the FL1 battery life is just under 2 hours, the light did keep shining until over 3 hours had gone by. This will get you home in a pinch, but for optimum output you should charge the light if it's been used on the brightest mode for more than an hour. As with most these days, the light has an internal lithium battery, and is recharged by a micro USB cable. Unfortunately, the USL-305 has the same annoyingly shaped gasket around the USB port that prevents a standard micro USB plug with a rectangular casing from fitting. Serfas provides a cable with a rounded casing, but out of the tens of micro USB cables I own, not a single different one fit. This is a disadvantage as it defeats the purpose of using the ubiquitous USB cable as a charging standard. Serfas' rep informed me that they're aware of this problem and intend to fix it for their future lights. Hopefully that holds true. The power button for the light has a battery indicator LED built in. It shines blue until the battery level starts to drop, then turns red as it gets low. It's not as easy to interpret as the green/yellow/red indicator on some lights, but the red LED is a useful warning that it's time to charge up. I've always been a fan of the mounting system on Serfas lights, and it's no different here. The light slides into the mount and clicks in very securely. The mount then straps on to the handlebars with a quick-release rubber strap. It's quick and easy to install and remove the quick-release strap, but the light stays snug in its bracket. The strap diameter can be easily adjusted to different handlebar sizes, too. The only downside is that the mount is somewhat bulky, but I think the extra size is worth it for a well-designed and stable mounting system. The light is also compatible with the Serfas helmet mount, which is available separately. The light itself is small and light-weight. It's just (?) inches long and weighs (?) grams with the mount, making it the most compact light I've seen with over 300 lumens. The light turns on and cycles through e brightness levels with single clicks, and can be switched to flashing mode by pressing and holding the button when off. The button is easy to use, even with gloves on. An increasingly popular feature this light lacks is a button lockout mode to prevent accidental clicks. Serfas told me they'll likely be adding this to future lights. The Streak 310 was just released, but I've previously used the Streak 280. I also recently received the Urban 350 and will have a full review published soon. I haven't tried the Lumina 250, but considering that it has the lowest output and a price in the middle, it wouldn't be my first choice. The Urban 350 costs a bit more, but for good reason. It's like the premium version of the 300ish lumen lights. It has a 30-40 lumen higher output, and the optics are higher quality, with a smooth, diffused beam. The bright amber side visibility ports can be seen from a greater angle than the side cutouts for the USL-305 and the Streak. It also has a button lockout mode to prevent accidental activation in your pack, has a green/yellow/red battery indicator LED that's easy to understand, and in my opinion has the most versatile mount of the three. There are several color options too, which don't affect the functionality of the light but may appeal to the aesthetically inclined. Whether those features are worth an extra $20 to you depends on your needs and budget. The USL-155 is the same size but has a lower output. 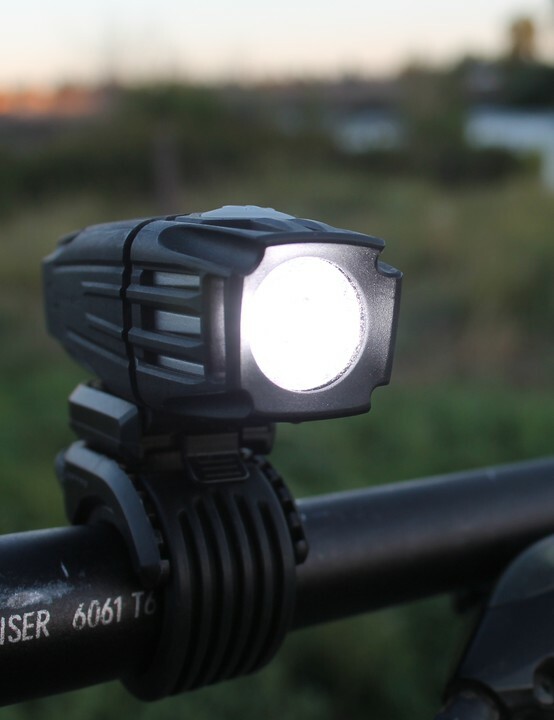 The USL-505 is a very similar light with a slightly longer body to accommodate a larger battery. Both the 155 and 305 are 3.5" long; the 505 is 4" long. The SL-255 is an AA powered light that is very similar, for those who prefer to use their own batteries. The SL-255 will get a separate review after I do some more testing with it. There's a lot of competition for this light, and the USL-305 definitely holds its own. It's compact, has a solid mount, and a good balance of light to see with and be seen by. It's an excellent choice for commuting, biking around town, or road cycling. 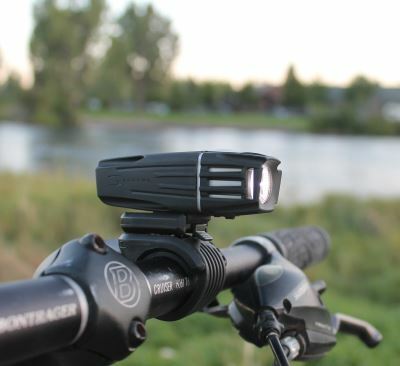 I'm in the midst of rewriting the "top bike lights" page, and the USL-305 will definitely be a new addition.